Fly Casino offers you to lift off the month with unlimited bonuses August 5-10, 2017. That’s right, in addition to the promotions below, you are invited to claim a 30% bonus up to $/€300.00 on every deposit of $/€50 or more. Super $200. 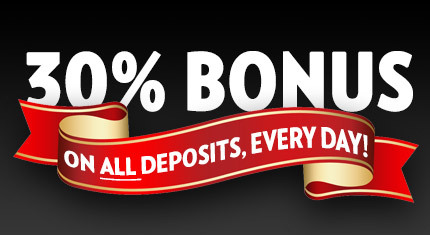 From 00:00GMT until 23:59 GMT, all members on their deposit of just $/£/€30 or more will receive a 100% bonus up to 200.00. 133% Big Money Tuesday! From 00:00GMT until 23:59 GMT, all members are invited to receive a 133% bonus up to $/£/€133.00 on your deposit of just $/£/€30 or more or more. Super Thursday! From 00:00GMT until 23:59 GMT, all members are invited to receive a 125% bonus up to 125.00 on your first deposit of just $/£/€30 or more. Wager Requirements 35X (Bonus + Deposit).